South Africa cries wonder and screams excitement through its grand beauty and calming demeanor of activity. Yet, what makes the province of Cape Town so wonderful? Many things of course, but specifically, the small town of Fish Hoek. This region is filled with many places of wonder. Landing right on the coast of the Western Peninsula, Fish Hoek swells a calming wind of culture unlike anywhere else in the country. It is filled with charm, community, and personality that boasts an allure that flows with the South African name. 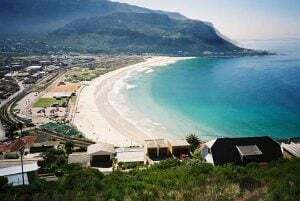 Fish Hoek beach is filled with the whitest sands and bluest waters there are, where you can watch fisherman returning home from their early morning cruises while enjoying a delightful breakfast after a nice run down the coast. The calming appearance of this town takes you away from the hustle and bustle of Cape Town; yet, it is close enough to all of the attractions there are with plenty of shops, restaurants, and activities, making this town a community much love to call home. Hidden but adventurous, Cape Town is a diverse place of unique vision. There are many activities involving the ocean life ranging from shark cage diving in the clear blue waters of the Atlantic sea to kayaking through the swaying ocean down to Boulder beach to watch and interact with the penguins of Simon’s town. This coastal town is small and quaint, but it is the perfect place to end the day for relaxation. What more could you want to see other than green rolling hills, colorful homes, and the birds chirping as you explore? Hopefully, not much. 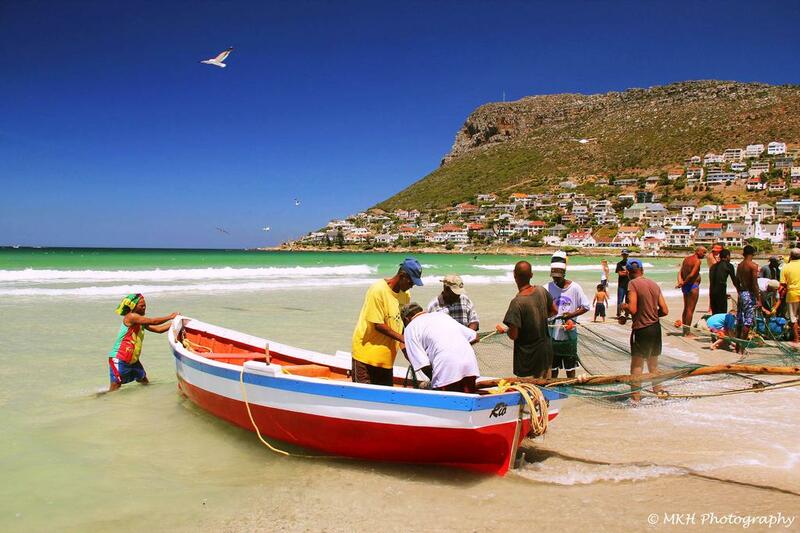 Fish Hoek is wonderful, and you may be asking, what more is there? Well, there are many tales to tell as you adventure beyond to the outskirts of this town. 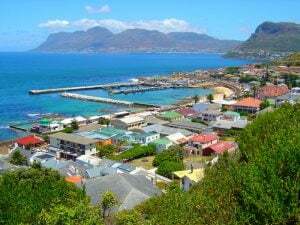 From Fish Hoek, travel is easy as train and car can take you to the many populated regions within this province. Close enough to Fish Hoek that it might as well be considered a second home is Kalk Bay, which is filled with flourishing cafes, thrift shopping, populated stores, as well as the calming ocean that is clearer than a baby’s blue eyes. As you hop over from town to town along the coast, views of the gorgeous sea and luxurious restaurants, filled with the finest and freshest seafood there is, graze your presence as you maneuver through your joyous day filling your life with all the culture there is. Each community has its own specific character and personality, bringing a different perspective on life to each experience you come across. Simon’s town, historically, holds a depth of the South African culture that makes up Cape Town and carries the beautiful, yet calming sea further into its depth. Muizenberg, another town just a few miles from Fish Hoek, holds the culture of surfing, bringing chances to learn, thrive, and begin to test the waves of the Western Cape, or if a day of relaxation is needed, an opportunity to bask in the sun on the white sandy beaches. These coastal towns surrounding Fish Hoek bring spirit, diversity, and adventure to the calming charm of this land. Just alone in this province, cultural life thrives unlike anywhere else in the world. Yet, why stop there? This area in South Africa has a wide range of beaches, towns, and wonderful markets. Friday nights and weekends in Cape Town host many events of nightlife, giving locals and visitors a chance to explore the cliffs of Hout Bay, food delicacies, as well as goods that speak loudly of what South Africa is all about. Beyond the immense beauty, history, and opportunity involving the coastal areas of this unique African country, there is a natural beauty of mother earth that brings love to all. Beyond the small fisherman’s town of Fish Hoek, there are many drives as well as places for hiking. The drive up to Hout Bay consists of winding roads overlooking the blue ocean waves that move gracefully, yet violently crashing upside the cliffs of the rocky and stable land. The higher you go, the more beautiful the scenery becomes as the sun sets over the ocean, enhancing the mist of the salty sea that moves with the wind. Diving into the heart of Cape Town’s nature, the roaring mountains gather hills of chaos to climb up. Lion’s Head Peak is one of the most natural treasures in reach, as the rocks formulate a windy hill, bringing you past grassy meadows and giant boulders, up onto a smaller mountain platform, overlooking the hustle and bustle of Cape Town. Another hike that is more of calming demeanor and closer to Fish Hoek is Elsie’s Peak, which trails through graceful greenery, flowers, and immense beauty, leading its followers to an area resembling the looks of a cave. Taking the hiking and exploration of nature further, Cape Town contains one of the seven wonders of the world, Table Mountain. 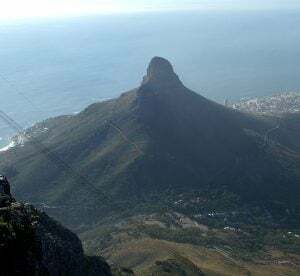 This beautiful monument is available through hiking up the treacherous stairs through raised elevation to see the views of glorious South Africa, and if that does not appeal you, a cable car is available for those to take up and down. At the top of this monument, souvenirs, picturesque views, and South African culture is alive. South Africa is a beautiful country that changes its personality through its diverse options of food, beaches, markets, and communities. Yet, what makes South Africa a place of beauty and grace is what each and every South African brings to the culture. The people of this country are filled with love, acceptance, and absolute grace. Each town, community, and province is looking for growth, change, and a chance to shine their love on one another. The fellow locals make every attraction filled with excitement, glory, and absolute grace. The culture and historic change over time has emotionally and politically brought much diversity and unison not only Cape Town, but to all of the beautiful country named South Africa.